She is absolutely gorgeous. Love the contrast of the velvet chair, perfect. She's like a little forest nymph. Hey! I've been following your blog for quite some time and I feel the need to tell you that the name choice for your new bundle of joy is completely adorable. Oh and the little animals you make? I am so jealous! They are to die for! oh Katie!! she's so beautiful!! you're giving me baby fever!! she is one of the most precious babies i have ever seen! she's perfect. she is beautiful! Lovely photos. I can't beleive how alert she seems already! Beautiful shots! oh, I love her expression in the first photo! She is precious. i am blown away by these pictures. 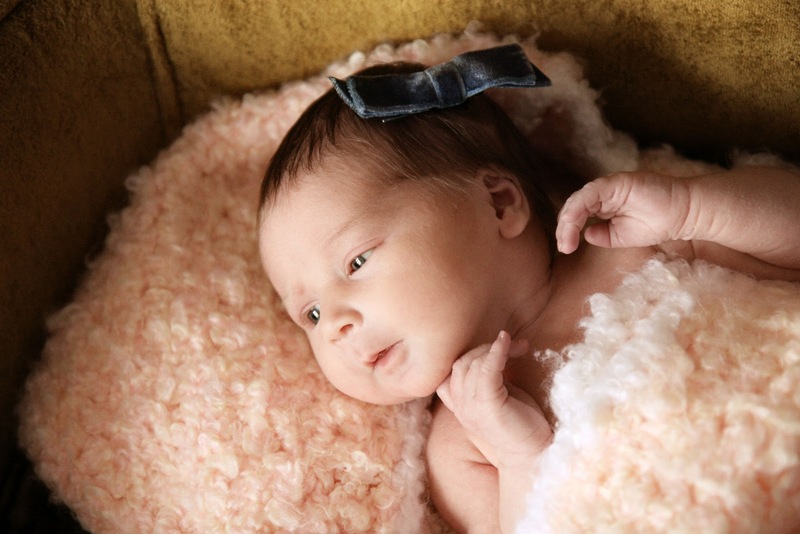 your baby girl is gorgeous! oh how cute. i love the third photo most... :)! precious! oh my gosh she is just adorable!!! such gorgeous photos of her. How set on keeping her are you? I wouldn't mind stealing her away if you aren't too keen! She's adorable here, she looks like she's grown a lot too. 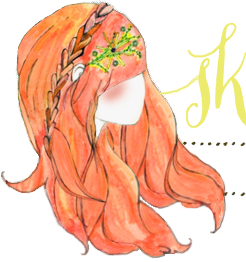 so beautiful, and such a great concept!! Oh my goodness, Katie....she is so beautiful and the pictures are absolutely gorgeous. Took my breath away...really! SO precious! Congratulations on the new bundle of joy! I love the picture concept, your doing so good blogging with a new born! What a dear little bundle! LOVE. Very, very cute, your best creation ! Oh my, you and your beau make the most beautiful children! Absolutely precious! 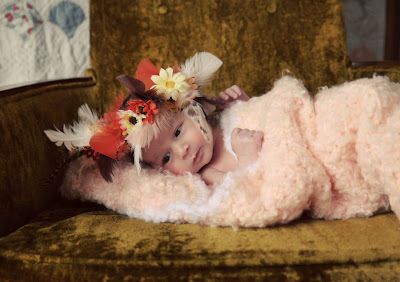 I LOVE the feathers and flowers adorning her darling little head. 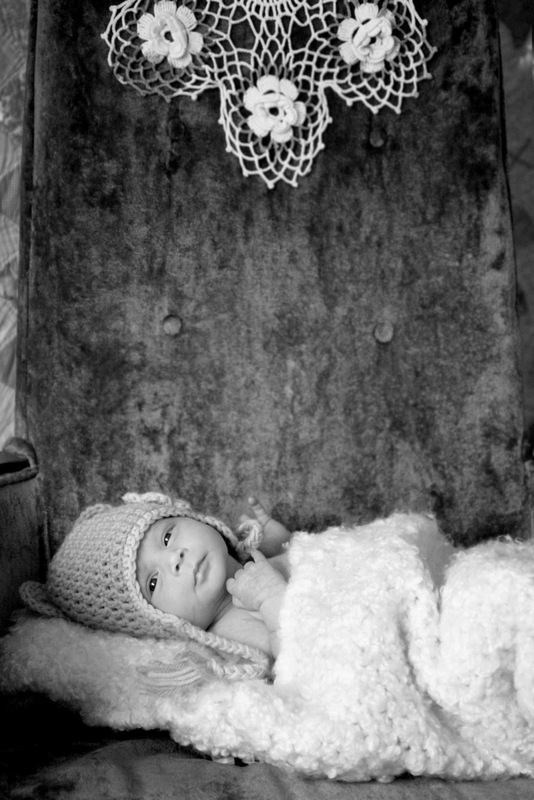 Wonderful concept for a newborn photo shoot! Sweet precious baby. These are such wonderful photos, thank you for sharing. Congrats. 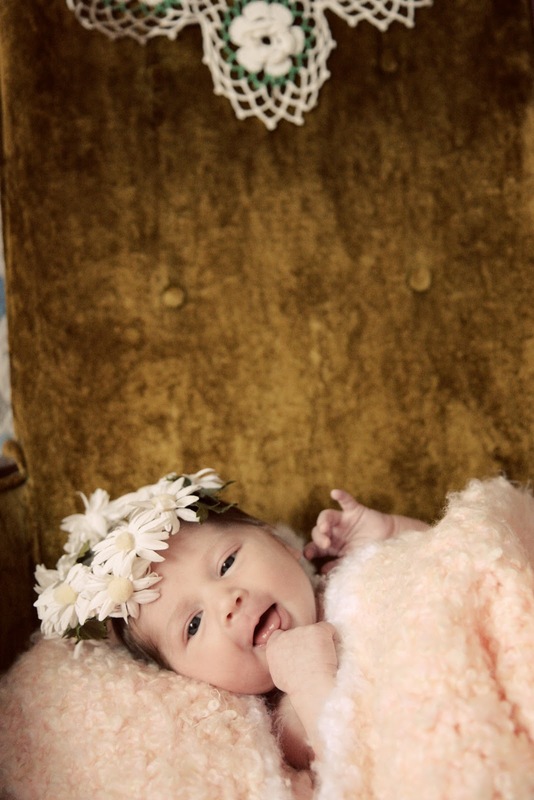 and oh my goodness shes so adorable, great photos! She's so cute! I love that little hat! The first picture is amazing! Love it. She looks like my daughter Annabelle when she was a baby. :) Long long time ago, now she's 11 yrs old! Happy Mommy Moments! Oh my gosh, so adorable! These photos are so precious! she's so photogenic! glad everyone's having a great time. these really are so precious!!! congrats skunkboy family!